New Destiny 2 gameplay to be revealed at E3 2017 event this month. It seems that the Guardians will not only face Ghaul and the Cabal in "Destiny 2" as Bungie teased a more sinister enemy will be coming to the sequel's plot. 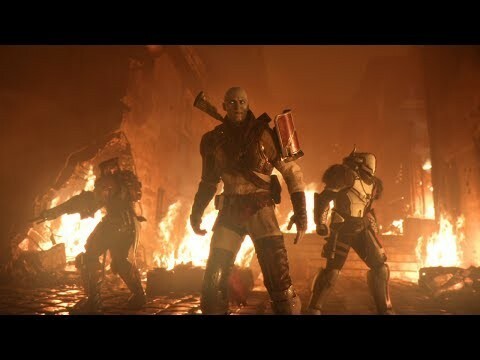 Game director Luke Smith told GameInformer that the "Consul" will be the game's big bad and players will need to defeat the Red Legion in order to beat the game. In the original game, the Cabal was the least fleshed out of the alien species, but in "Destiny 2," players will be able to learn more about their history and motivations. Ghaul and his legion are essential to this story. Players will learn more about Ghaul's motivations in "Destiny 2" and why he is so determined to destroy humanity. Much of Ghauls motivation will stem from another alien race and this is where the the Consul comes in. The Consul acts as a guiding voice to Ghaul and it was him that advised the latter to stage the military coup and unseat Calus, the previous emperor of the Cabal. Project lead Mark Noseworthy stated that the Consul is compared to a coach on the sidelines, while the Olympic runner is getting gold." It is still unclear whether players will be able to face the Consul directly. Meanwhile, Smith confirimed that Vaults and Store Loots will return to "Destiny 2" as they are now located in a social space called "The Farm." The Farm is located within Earth’s European Dead Zone and gaming fans are wondering how big will the said Vault be. Smith stated that the Vault space is still being determined in "Destiny 2's" development, Gamerant reported. Even though players will have to wait to see how much loot they can stuff into their Vaults, "Destiny" veteran players should know by now that it will have to be filled with all new gear. Vaults were a pretty consistent "push-pull" between Bungie and "Destiny" fans, with them constantly asking for the space to be increased to accommodate the growing amount of gear available to players over the game’s three year lifespan. "Destiny 2" is set to launch on Sept. 6 for the PS4 and Xbox One, while the PC version will be release on Oct. 24.